Like many teens, Alexis Dunnick loves Harry Potter stories. She also dreams of one day becoming a surgeon, inspired by the many caring doctors who helped treat her ovarian cancer. 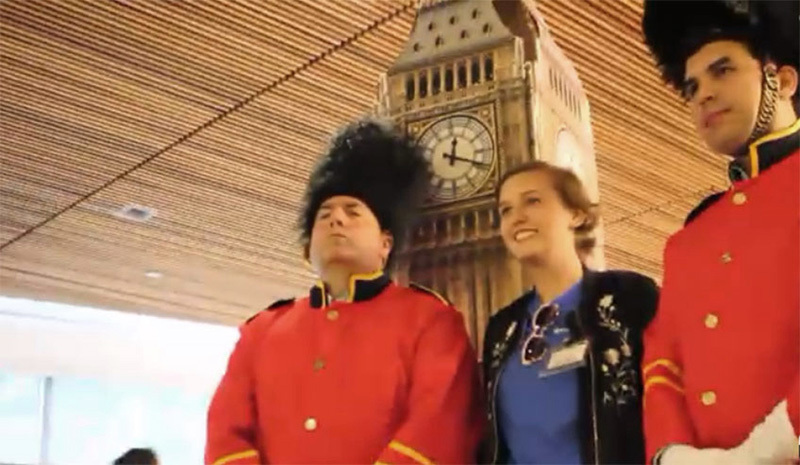 So, when Make-A-Wish chose to grant a wish to this Florida teen, the 15-year-old chose a trip to the U.K., the fictional birthplace of Harry Potter and the real-life headquarters of the prestigious Oxford Royal Academy summer school. Make-A-Wish organizers then set about enrolling Alexis in a two-week Introduction to Medicine course at historic Oxford University, where she would study alongside students from around the world. Bristol-Myers Squibb provided a grant to Make-A-Wish in 2017 to help fulfill up to 80 wishes for children with cancer. The grant also funded educational outreach to healthcare providers on the importance of these wishes as part of the patients’ treatment. Wayne Lewis, communications lead in our Tampa office, learned about Alexis, who lives nearby in Apollo Beach, FL, and offered to host a send-off party to fulfill the first wish by our company. "Once we heard that a local resident, Alexis, wanted to attend a summer medical program in the U.K., we knew we had to find a way to help out," Wayne says. "We decided on a send-off party that would start her trip and then connected with our U.K. counterparts to make it extra special. "When the day arrived in late June, Alexis and her family were greeted by employees dressed as palace guards, a town crier, a Beefeater and a prince. The Queen placed a bejeweled crown upon her head and declared her "Princess Alexis." The café was decked with Union Jack flags and replicas of Big Ben clock tower, the Parliament building and the skyline of London. As an added bonus, employees at our Uxbridge and Chester sites in England sent Alexis a Hogwarts robe and scarf, passes to a traditional English tea aboard a double-decker bus and tickets to a Harry Potter play in London. Research conducted by Make-A-Wish has found that the wish experience not only influences a child’s emotional health but can also play a role in their physical health, working in concert with traditional medicine to help kids get better. "We are inspired by the work Make-A-Wish does to enlighten the lives of children diagnosed with critical illnesses, like cancer, and their families," said Mark Peters, Head of U.S. Oncology Policy and Advocacy. we are inspired by the work make-a-wish does to enlighten the lives of children diagnosed with critical illnesses, like cancer, and their families. We are proud to support programs that can provide hope, inspiration and happiness, and we welcome more opportunities to help grant wishes like this one. 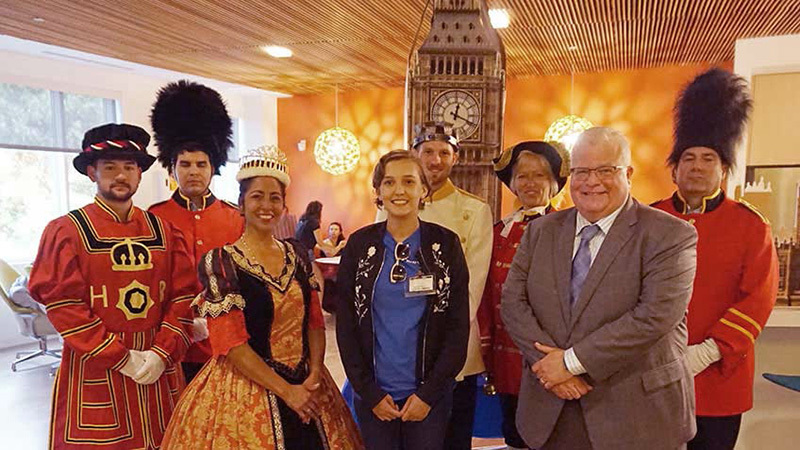 Alexis and her family were treated to a British-themed celebration at our Tampa facility.